The Eurasian Heartland can expect to immensely benefit from the Russian- and Chinese-led integrational projects being advanced in this region, though any hiccups in the eventual political transitions in Kazakhstan and Tajikistan might open up avenues for Salafist and revisionist threats to return to the surface and destabilize this ultra-crucial crossroads of the continent. Central Asia is located literally in the center of Russia, China, and Iran’s multipolar Great Power geostrategic convergence, which amounts to this part of the world being unparalleled in its grand importance. Moscow, Beijing, and Tehran are fully cognizant of this and recognize how disastrous it would be for each of them if Central Asia were to be destabilized by a deadly combination of external and internal factors, which is why they’re working so closely together to safeguard it from it all sorts of potential risks. 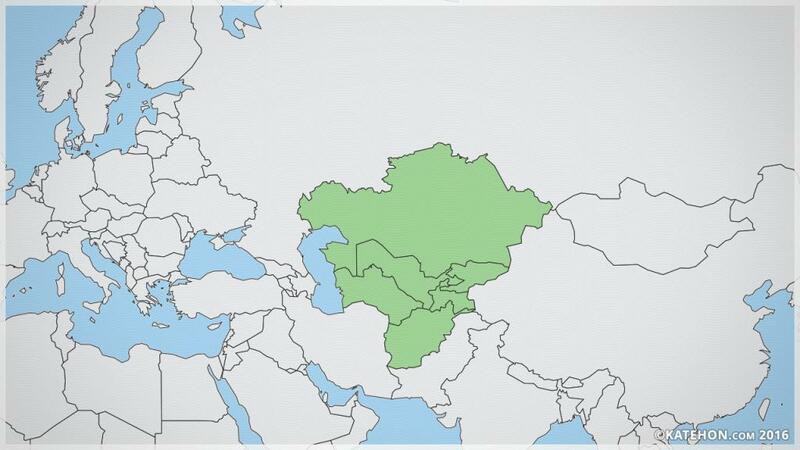 Russia’s CSTO provides security guarantees for Kazakhstan, Kyrgyzstan, and Tajikistan, while the Russian- and Chinese-led SCO aims to advance these three countries and Uzbekistan’s all-around integration into the multipolar world. Constitutionally neutral Turkmenistan is not a party to either of these agreements, though there’s been repeated speculation that it informally cooperates with both on areas of shared interest, such as defending against militant incursions from Afghanistan to helping to geographically facilitate Chinese-Iranian New Silk Road connectivity. As for the latter point, China already has one circuitous railroad connection to Iran and has floated the idea of building a high-speed one directly through the middle of Central Asia in order to connect the two Great Powers by means of the region’s main cities and capitals. Understandably, the further along that trilateral Russian-Chinese-Iranian Central Asian connectivity and integrational projects come along, the stronger the emerging Multipolar World Order will become, though contrarily, any unforeseen challenges to these initiatives will reversely create problems for the Eurasian Great Powers. The passing of long-serving leaders Niyazov and Karimov in Turkmenistan and Uzbekistan respectively set off justified forecasts that each country was on the verge of domestic collapse, but surprisingly their “deep states” (permanent military, intelligence, and diplomatic bureaucracies) united in facilitating an orderly and peaceful political transition. This proved that the Turkmen and Uzbek governments were a lot stronger and capable of behind-the-scenes compromise agreements than many observers had thought, which fortuitously enabled their countries and the region as a whole to avoid a potential conflagration. It’s hoped that this pattern of peaceful political transitions can be applied in Kazakhstan and Tajikistan when their elderly leaders inevitably pass away, though there’s no guarantee that this will be the case. While Kazakhstan is arguably thought of as the most stable of the Central Asian states and seems likely to evade this dark scenario, Tajikistan is the complete opposite and is regularly seen as the weakest country in the region. Additionally, the formerly civil war-torn country is once more threatened by Afghan-originating and –influenced Salafists, so there’s a distinct possibility that a similar sort of conflict modelled off of the one in the 1990s might erupt if Dushanbe’s elites aren’t careful. This could be extremely troublesome for Russia, which might find itself compelled to order the forces from its large military base in the country to help the legal authorities restore order, though judging by the Kyrgyz precedent during their own Hybrid War unrest in 2010, Moscow might play it coy and resist the temptation to intervene and fall for the US’ “Reverse Brzezinski” stratagem. The occurrence of political transitions in the Central Asian states might inspire Salafists and territorial revisionists to spring into action. It’s already well known that Central Asia is a hotbed for militant extreme Islam, and while the region’s leaders have successfully worked to quell this threat over the past two decades, it hasn’t ever been completely snuffed out. The ongoing hostilities in Afghanistan and the spread of Dash to the war-beleaguered country could provide an opportunity for ill-intentioned individuals and groups to acquire valuable in-battle training and other experience conveniently nearby. Should they sense that a political transition in Kazakhstan and/or Tajikistan is fraught with internal elite disagreements and governing paralysis, then they might be inspired to return home and try to exploit the situation to their advantage. As for the revisionists, the only two real possibilities that exist are for Uzbeks and Tajiks to lay claim to their neighbors’ territory, whether de-facto supported by their respective states or done (quasi-)independently through non-state actors. Ethnic Uzbeks densely inhabit many border settlements in Kazakhstan’s Southern Kazakhstan region and the Fergana Valley portions of Kyrgyzstan, so if the former is undergoing political uncertainty or the latter falls back into its regular pattern of domestic dysfunction, then they might make a move in advance of their claims. Concerning the Tajiks, they regard the modern-day Uzbek-controlled cities of Samarkand and Bukhara as historic Tajik towns unfairly taken away from them by Stalin, and they or a new nationalist administration might find it advantageous for domestic political reasons to press forward these claims. Also, many Tajiks live in northern Afghanistan, where they and their Northern Alliance have been supported by the US-backed Kabul government for years now, so Washington might have already cultivated some strategic inroads with this militant community which it could exploit if situationally necessary. The worst-case scenario would be if “Greater Uzbekistan” and “Greater Tajikistan” nationalists simultaneously started pressing their claims and combined their ethnic ideologies with the religious one of aggressive Salafism peddled by Daesh. Seeing as how the two states and people are already heated rivals with one another, the concurrent promotion of their contradictory extreme geopolitical visions could prompt an outbreak of violence in this already-tense region of the world. Conflicts in Central Asia easily have the potential to go cross-border and spiral out of control, which is why all sides regularly do their best to prevent this from happening, but in the case of Uzbek-Tajik clashes (whether of a state or non-state nature, and regardless if it’s to advance their “greater” projects or international Salafism), this could also draw in Moscow through its CSTO commitments to Dushanbe. In the event that Russia calculates that it’s better to stay on the sidelines, help to diplomatically negotiate a ceasefire or other related solution, and not directly get involved, then the nationalist American-leaning (as a result of Washington’s legacy of support to the Tajik-dominated Northern Alliance in Afghanistan) portion of the Tajik people might “pull an Armenia” by threatening to turn to the US instead, which might be more than happy to enter into a tug-of-war for this country’s loyalty in order to complicate Russia’s regional policies and partially compensate for any strategic losses in Afghanistan. It wouldn’t be so much that Tajikistan-inhabiting Tajiks might necessarily choose to go this route, but that the their cross-border Afghan-Tajik counterparts might infiltrate/migrate into their eponymous country and try to interfere with the domestic political situation there, similar to how the American-based Armenian diaspora attempts to do so in that namesake country for similar purposes. Prime Minister Shaukat Mirziyoyev has become the acting president of Uzbekistan. The information was made public today.